Farmer's first release for Trinidad Carnival 2009, "Belly Dancer," is rolling off the tongues of many fete-goers during his recent performances in Trinidad. "Belly Dancer" is currently the only soca song on the music charts in Jamaica, reaching the Riddim Jamaica Top 10 last week. His video for "Belly Dancer," directed by TNT's most in-demand creative consultant Lee Aleong, premiered on Jamaica's acclaimed entertainment show, Entertainment Report or ER on Television Jamaica (TVJ), last week Friday. Now Farmer's new release, "Go Brave," written by him, Machel Montano & Kernal Roberts, is creating a buzz in the soca fraternity, and throughout the Caribbean. Farmer is known for his popular hook lines and "go brave" is becoming a new slogan. 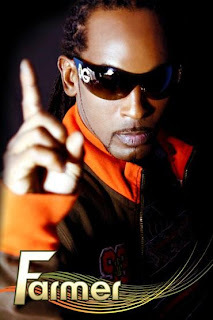 He received the 'Groovy Soca of the Year Award' at the annual COTT Awards in Trinidad back in November, for his phenomenal hit "Chippin'," which made Famer Nappy a household name in Caribbean music. Now with his new hits in hand, Farmer is ready to chip his way to the top of the charts. To get more familiar with Farmer, log on to www.myspace.com/1farmernappy.